Whether looking for something special or a great everyday product, David’s Cookies has the right item for you. As a ‘One Stop Bakery Shop’ we can supply any operator with products that meets the specific needs for their establishment. We’re truly a bite above the rest! We offer a wide variety of products to fit segment needs including: Gluten Free, Dairy Free, Nut Free, Whole Grain, No Sugar Added and Low Fat. Products have no added preservatives and are Trans Fat Free and Kosher. Fresko manufactures and distributes strictly kosher gourmet Grab n’ Go foods since 2003. As specialists in Gourmet Grab n’ Go Foods serving corporate and institutional clients, Fresko customizes over one hundred types of prepared, ready-to-eat sandwiches, salads, wraps, entrees, side dishes, and desserts. At Fresko, superior food quality and safety are our guiding principles. All Fresko products are made from the finest kosher ingredients in a USDA certified facility and are delivered fresh every day. In designing its seasonal menus, every Fresko recipe is engineered and tested by a team of R&D Chefs who focus on satisfying the most discerning on-the-go customer. When a costumer opens a Fresko meal, he or she knows that it is the freshest, tastiest, highest quality grab n’ go meal available. 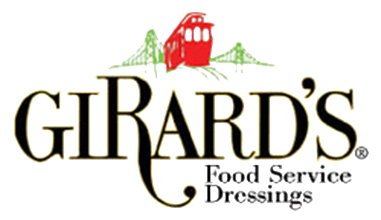 Our story dates back to 1935 when Girard’s French Restaurant in San Francisco tossed up a French dressing recipe so delicious; patrons were begging to take whole bottles home. As word spread about our dressings, appetites grew and GFF, Inc. was formed for those looking to buy in bulk. We are a food service company dedicated to developing and distributing a variety of unique, high-quality salad dressings, sauces, mustards and mayonnaise spreads. All our recipes are carefully formulated with the same focus on flavor and freshness as our founders had in 1935. They contain no artificial colors or preservatives, saturated fats or high fructose corn syrup. 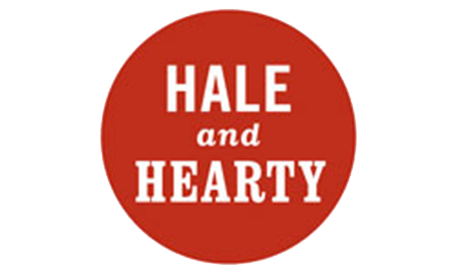 At Hale and Hearty Soups, we believe soup makes everything better. That’s why we make our soups 100% from scratch in our Brooklyn kitchen, with homemade stock, local ingredients, and absolutely no added preservatives. We start each soup with fresh, natural, produce that we cut the day it’s cooked, and simmer into our chowder, chili, mac & cheese, and bisque. We believe in making soup that’s not only delicious, but creates a moment of comfort in the day—it’s to be savored. Best known for our authentic, ready-to-eat Indian cuisine, Cafe Spice has also cooked-up 3 delicious Thai grab n’ go meals. In a retail format, these convenient, “just heat & eat” meals can really spice-up your cooler! Food service offerings are also plentiful, with full lines of Indian, Thai and Mexican items ready for steam tables, hot bars and cold cases – and lots of gluten free, vegan and vegetarian options! What makes Cafe Spice standout is our chef-driven, restaurant quality with recipes created by celebrated chef, Hari Nayak. Our products are prepared in small batches, using clean ingredients, rBST-Free milk and chicken, beef and pork that is humanely raised without antibiotics or hormones added – EVER! Thumann’s has been manufacturing the highest quality, most delicious delicatessen products for more than a half a century. We use only the finest & freshest ingredients, guaranteeing our customers the best tasting, healthiest products available. Our family recipes use the least amounts of salt & sugar, and we never use any artificial flavors or colors, by-products, fillers or gluten. Our products are trans fat free and contain absolutely no MSG. With Viva La Mamma ready to eat pastas, you don’t have to compromise on exceptional quality and taste when you want convenience. Each delicious variety uses fresh, simple ingredients that are never frozen to make authentic Italian meals. When your day is too busy to spend hours in the kitchen, Viva La Mamma is your secret to making something delicious, super-fast! Any pasta you choose delivers an authentic Italian meal, the same taste and flavor you’d find at a dinner table in Italy. Whether you have time to sit and savor or you need to mangia on the go, each meal comes with a spoon and fork to enjoy no matter where you are! Buon Appetito!